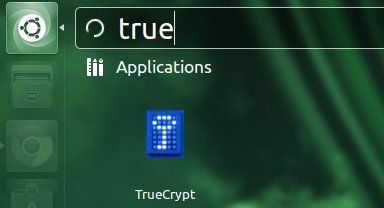 This simple tutorial shows you how to install TrueCrypt as well as its indicator applet in Ubuntu 13.04 Raring Ringtail. There’s a PPA which contains the TrueCrypt package with the tray icon replaced by a application indicator, so that you can get back the TrueCrypt indicator applet in Ubuntu 13.04 panel since the tray icons is no longer supported. 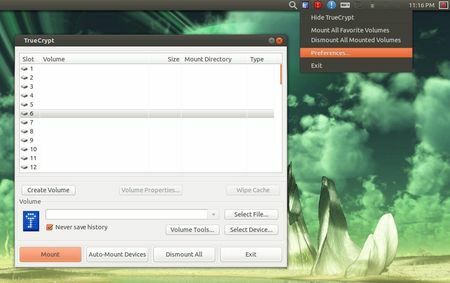 The PPA also supports Ubuntu 12.04 Precise and Ubuntu 12.10 Quantal. Then update package lists and install TrueCrypt. The indicator applet exits when the main window is closed if there’s no mounted volumes. To keep the indicator, go to TrueCrypt preferences -> Background Task tab, uncheck the box where it says “Exit when there are no mounted volumes”. If for some reason this ppa does not work properly for you, run below commands one by one to remove the ppa as well as the installed TrueCrypt. Wow, thx! This is the only webpage which helped me successfully install TrueCrypt. And also i want this program to be restricted to me, i have changed the permissons to 744. Now when i run this program, it comes up with menu (as in windows) but do not show drives in the select file option. Can you tell me what is the above error and why is it giving different screen when permissions are changed. Thank you so much Ji m. It works great in Ubuntu 14.04.2lts amd64. Now I have my information very secure.